Since this month English wine journalist Jane Anson has her own column "JA" on Bordoverview, an interesting addition to this Bordeaux primeurs overview. Jane Anson, Bordeaux correspondent for decanter.com, offers a fresh view besides the more established names such as Robert Parker and Jancis Robinson. Château du Tertre 2008, Margaux. Despite the developments (since 2007 Frédéric Ardouin is making the wines at Du Tertre, before that he was technical director of Latour) Parker obviously doesn't like the wine (83-85/100). Robinson is more positive "(...) Very pretty texture – not forced. Reminds of du Tertre’s style. Neat. Complete, but a bit forward. (...) (16/20)" But Anson is truly enthusiastic: "Rich, deep, velvety at every stage. Lovely weight of fruit, and this has managed to extract the firm blackcurrant and blackberries without being harsh or overly tannic. Like this one enormously. 92/100"
Château Bellevue-Mondotte 2008, Saint-Emilion Grand Cru. This is a blockbuster style wine from Pavie's Gérard Perse. 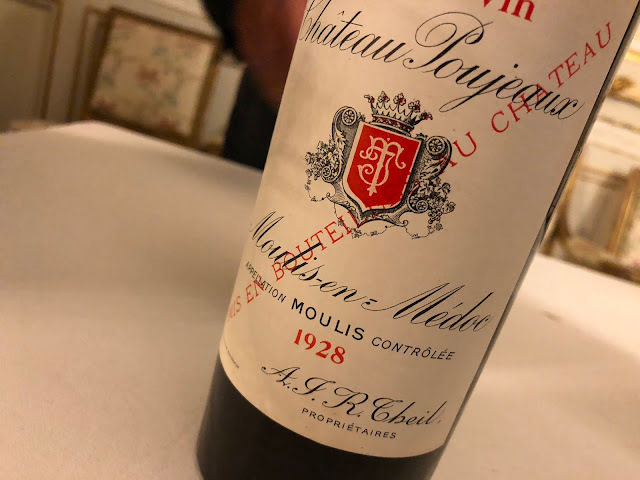 Robert Parker is in heaven − "a compelling wine of great depth, richness, and aging potential" − but Anson sings a different tune: "You need a hacksaw to get through this, an ice pick to begin to claw your way up its sides. It has been cropped to 18 hl/h and you can tell! Probably a wine that Perse is very proud of, and it certainly packs a punch, but it is fierce and not for me, I’m afraid. 86/100"
Especially this last tasting note shows Jane's 'slightly more British palate'. Check out her Bordeaux 2008 pages for many 2008 tasting notes. And there's interesting information on the upcoming Bordeaux 2009 vintage as well.